CME Beginning. Composed by F. Nunez. 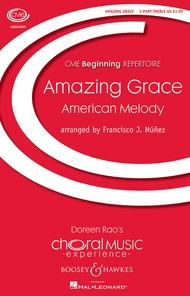 Arranged by Francisco J. Nunez. CME Beginning Series. American, Sacred, Folk, Classical, Contemporary. Octavo. 12 pages. Boosey & Hawkes #M051468010. Published by Boosey & Hawkes (HL.48004552). This fresh arrangement of the popular American folk hymn gives a written part for the accompaniment, but also allows your pianist to improvise.